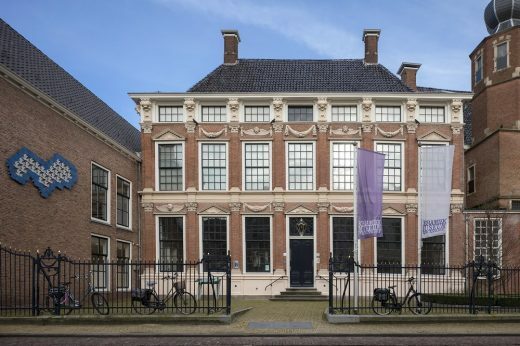 Leeuwarden is the European Capital of Culture 2018, and museum Princessehof celebrates its 100th birthday. 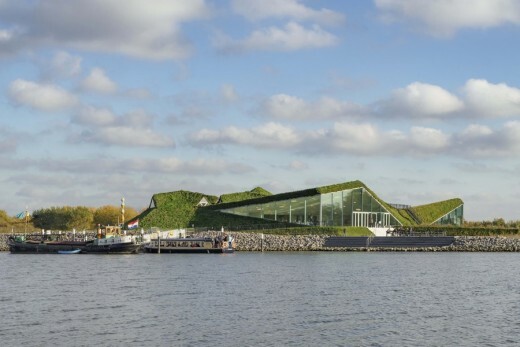 This anniversary was the motive for a major renovation of the museum, with the goal of increasing its appeal and accessibility to visitors. 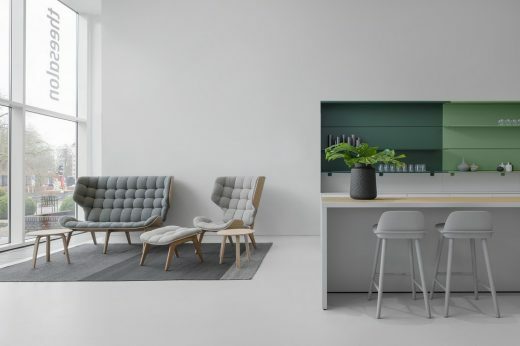 i29 interior architects created a surprisingly modern interior in the monumental buildings, which date from the 18th century. 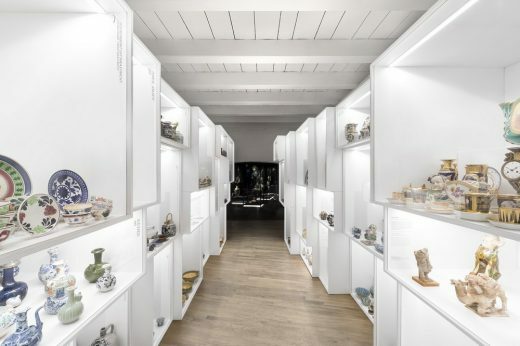 The design features an entrance hall including the museum store and tearoom, the museum square and exhibition areas for the vast collections. 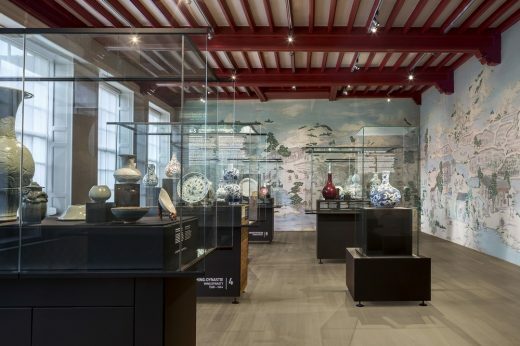 To attract more people and offer visitors the option of perusing the tearoom and museum store, the entrance area is entirely opened up. Visitors can now access the museum from both the front- and back entrance. The new area welcomes visitors in a spacious entrance hall with lots of daylight. 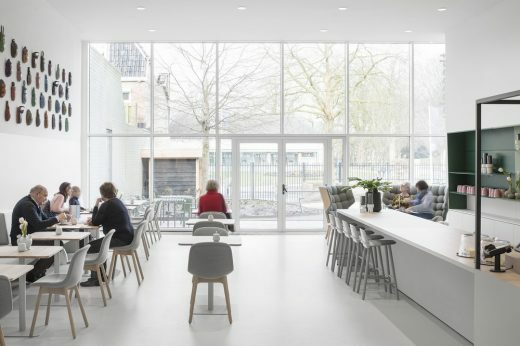 The space also connects the museum store, cash register area and tearoom in one. The horizontal alignment and level differences in these objects are a subtle reference to layers of earth, the natural resource of ceramics. Behind the counters integrated ramps offer disabled people access to the museum. A large garden that is adjacent to the tearoom has also been made accessible to the public. To create an intensive experience throughout the various spaces i29 added clear contrasts, which is most visible on the passage areas. 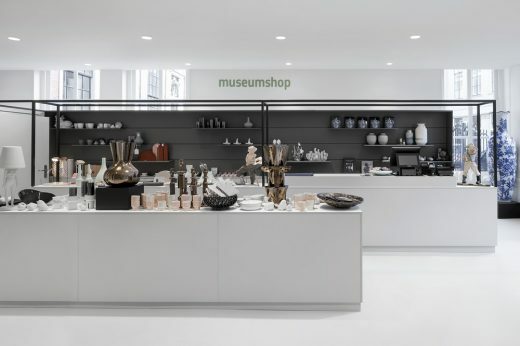 For example, the tearoom features vibrant fresh colours, while the museum store, in contrast, has tranquil grey tones so that all of the attention is focused on the products. Also the transition from the contemporary entrance area to the monumental museum square is a surprising metamorphosis. The walls of the museum square boast hand-painted wallpaper, and has a sleek graphical installation with seating elements and information screens. Other rooms were restored in original colours after historic research by The Ambassadors of Aesthetics. 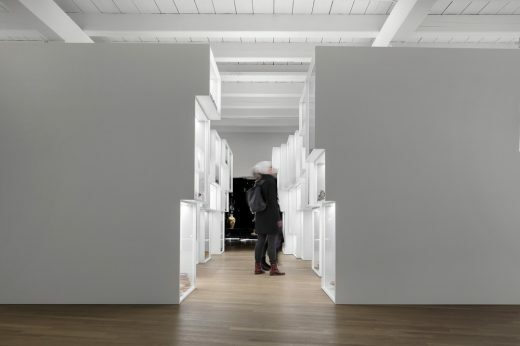 For the ‘Mass Production’ room, an installation was made of what seems to be simply stacked, brightly lit white boxes where visitors are fully encircled by ceramics. 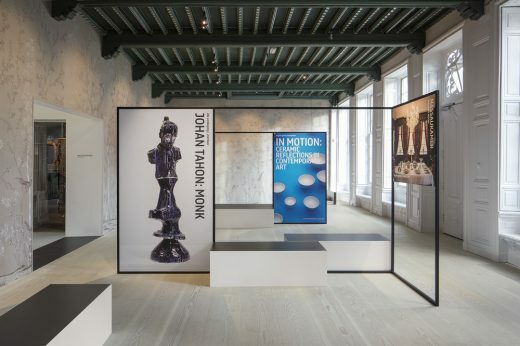 This installation leads to the ‘Art Nouveau’ room, where the experience is exactly the opposite. 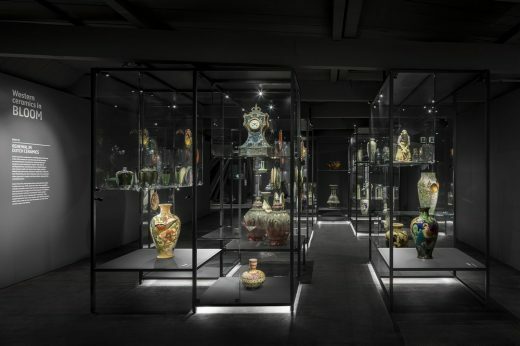 The room has been completely darkened, isolating the exhibited objects and making them look like they are ‘floating in the air’. 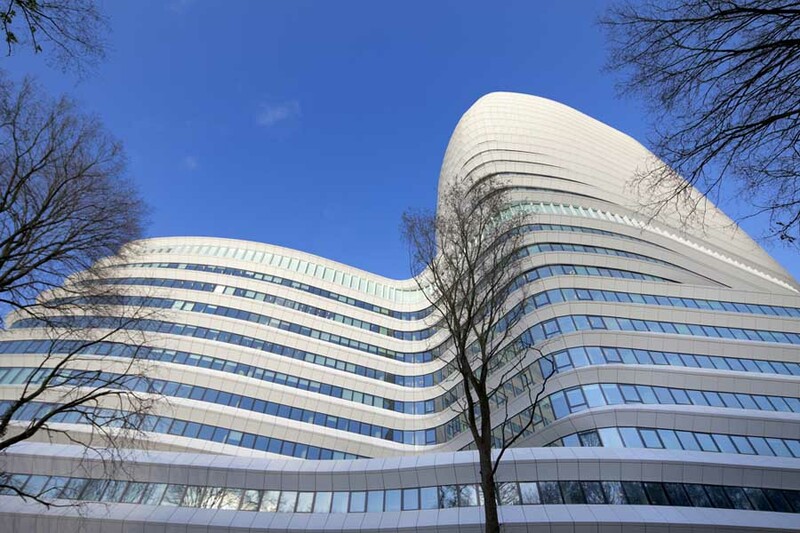 The pronounced simplicity of the design interventions contrasts with the monumental shell. The contrast between old / new and monumental / contemporary complements each other, and together they form a powerful and surprising whole. 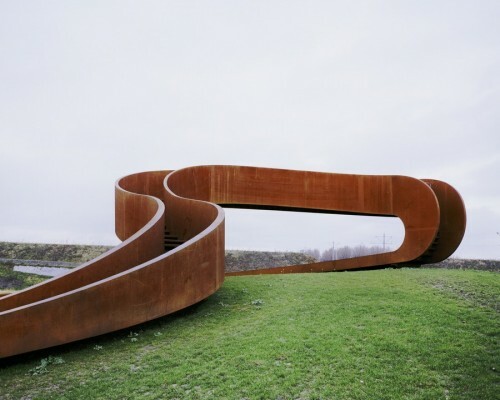 It places the monument back into the here and now, not only in the functional sense. 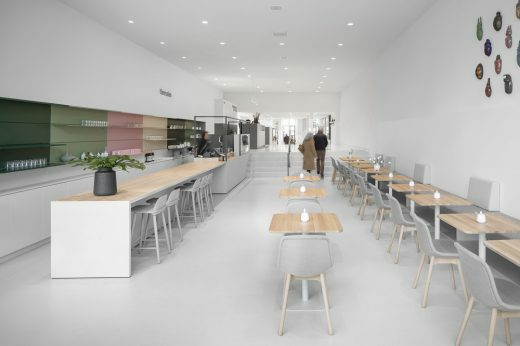 In line with i29’s design philosophy that an inspiring environment is not dependent on expensive materials or technical show, this project was completed on a very tight budget.